This entry was posted in DirectAdmin安装教程 and tagged DA面板, directadmin, LAMP环境, mysql, php on August 2, 2016 by yqf.me. This entry was posted in DirectAdmin安装教程 and tagged DA面板, directadmin, named, 虚拟主机面板 on July 23, 2016 by yqf.me. This entry was posted in DirectAdmin安装教程 and tagged DA模板, DA皮肤, DA面板, directadmin, newword模板 on July 22, 2016 by yqf.me. 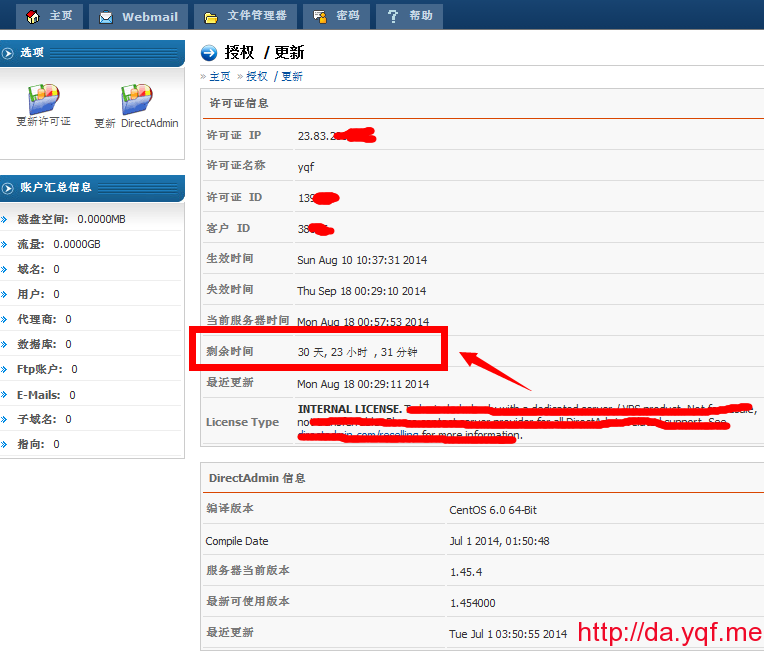 This entry was posted in DirectAdmin安装教程 and tagged DA面板, directadmin, 临时文件夹, 文件权限, 文件管理器 on July 22, 2016 by yqf.me. Ubuntu is based on the Debian OS. For this reason, any questions regarding which version of Ubuntu to use would fall back onto which version of Debian it uses. 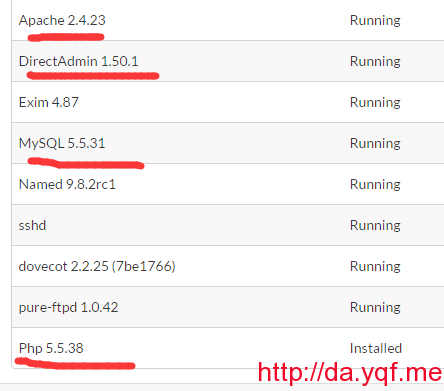 Currently, DirectAdmin supports up to Debian 8.x. 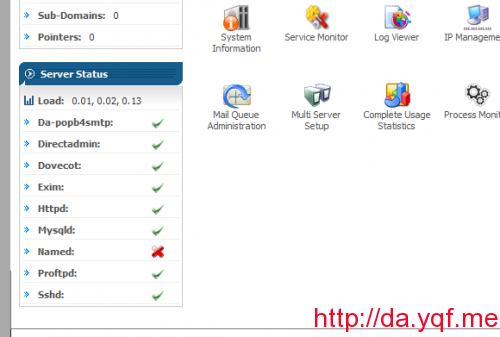 We recommend using CustomBuild 2.0 with Debian 8. Ubuntu 14 and up use Debian 8, which is currently in beta testing. If my memory is correct, any Ubuntu version up to (and including) 13.x uses Debian 7 Versions 11.04 and older use Debian 6. Check your /etc/debian_version prior to installing DA to ensure you have the correct OS selected for your license. This entry was posted in DirectAdmin安装教程 and tagged DA面板, debian, directadmin, ubuntu on May 31, 2016 by yqf.me. 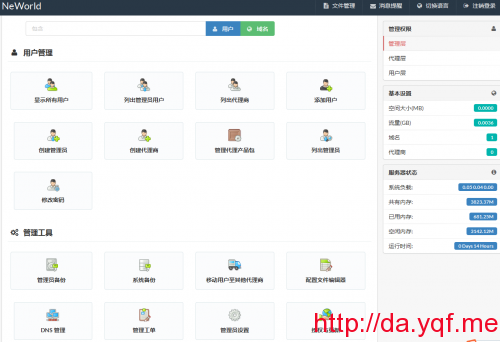 This entry was posted in DirectAdmin安装教程 and tagged DA面板, directadmin, phpmyadmin on March 15, 2016 by yqf.me. 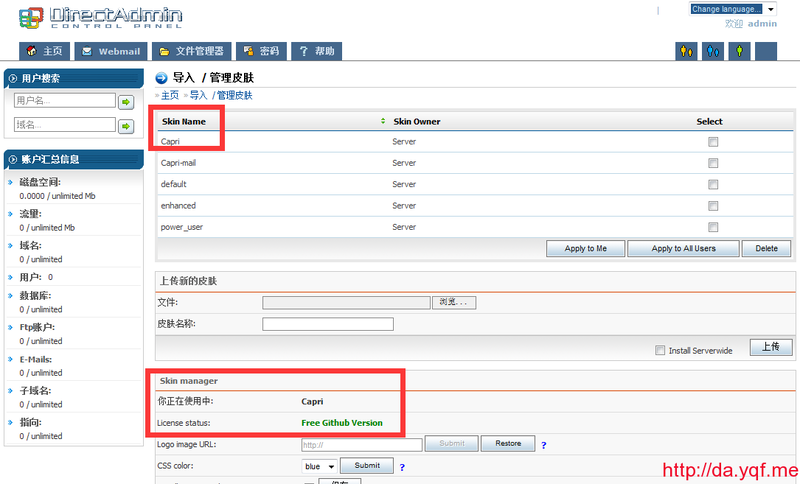 This entry was posted in DirectAdmin安装教程 and tagged DA面板, directadmin, mysql, phpmyadmin, 数据库密码 on March 15, 2016 by yqf.me. 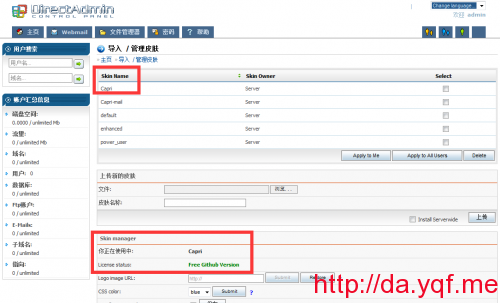 This entry was posted in DirectAdmin安装教程 and tagged capri, DA面板, directadmin on February 25, 2016 by yqf.me. This entry was posted in DirectAdmin安装教程 and tagged DA面板, directadmin, 有效期 on August 18, 2014 by yqf.me. 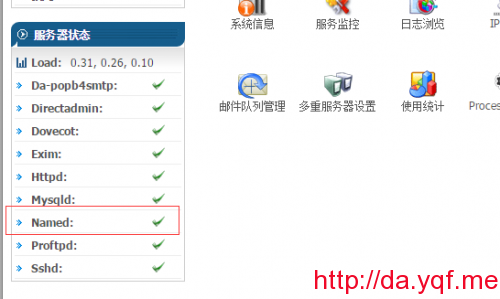 This entry was posted in DirectAdmin安装教程 and tagged DA面板, directadmin on April 30, 2014 by yqf.me.